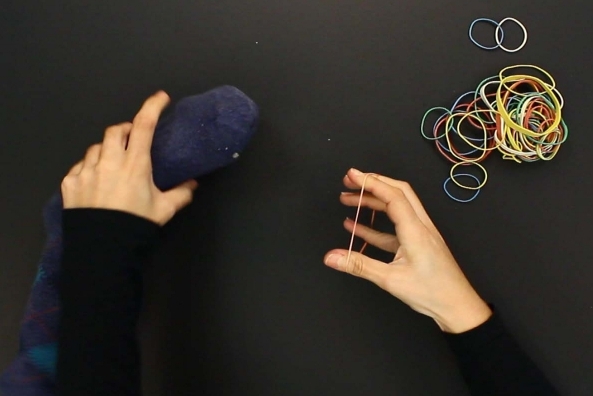 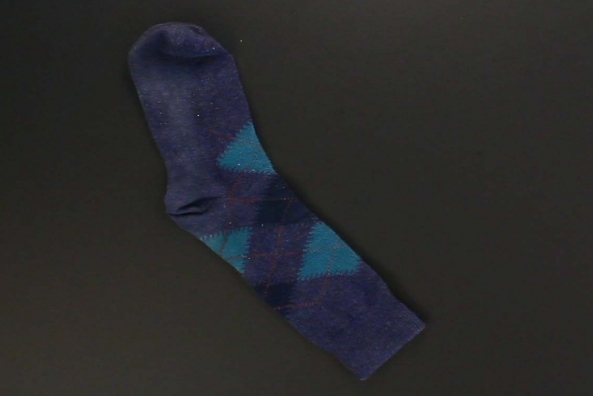 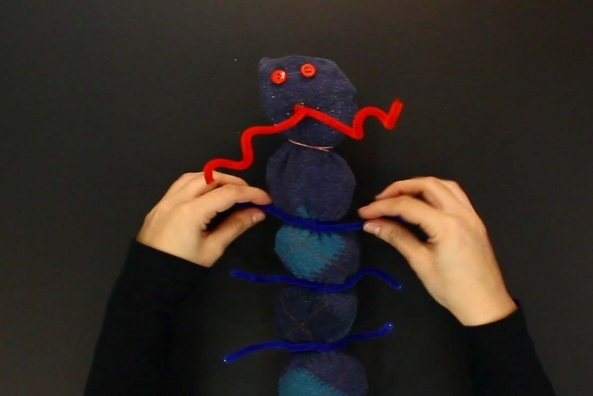 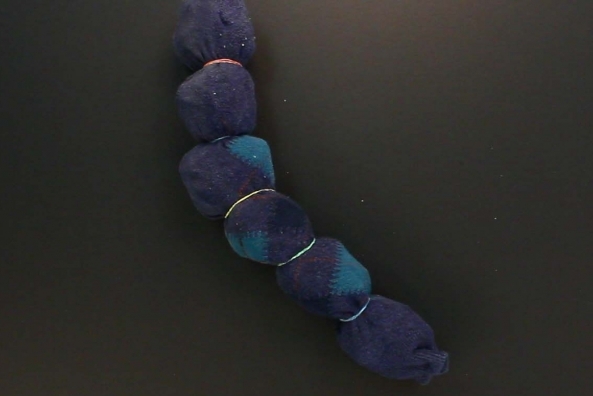 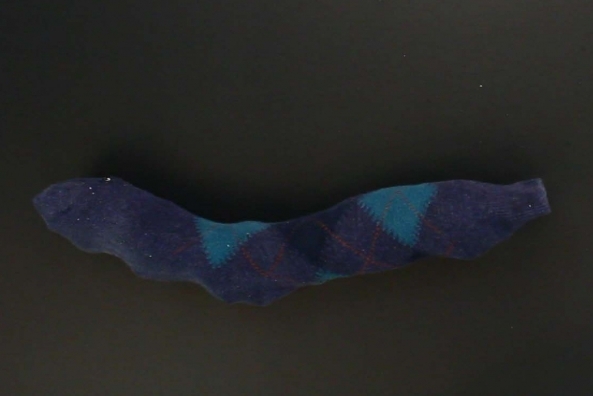 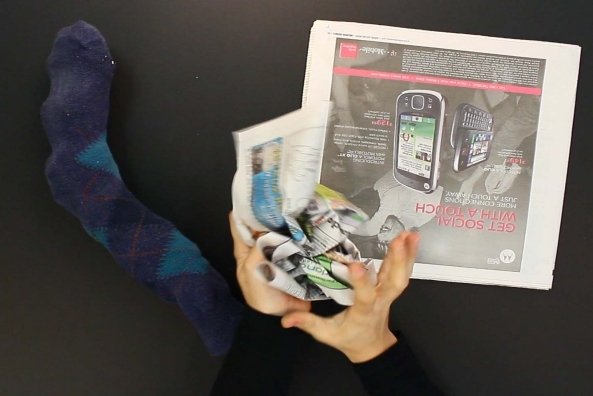 What do you get when you combine socks, newspaper and pipe cleaners? 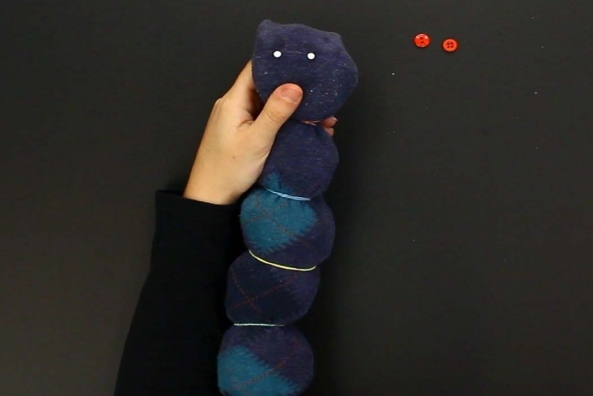 An adorable caterpillar! 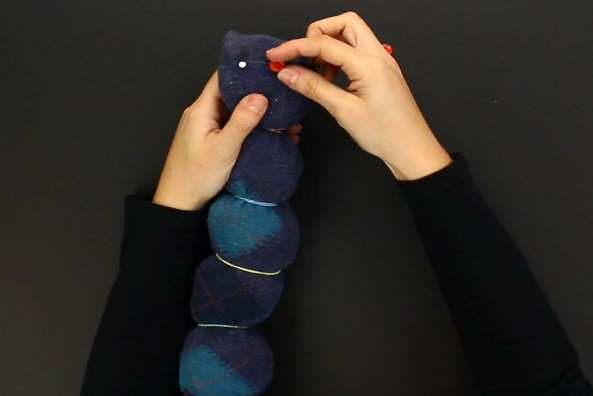 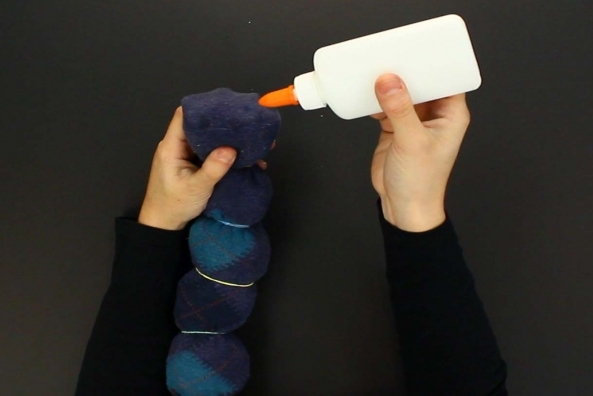 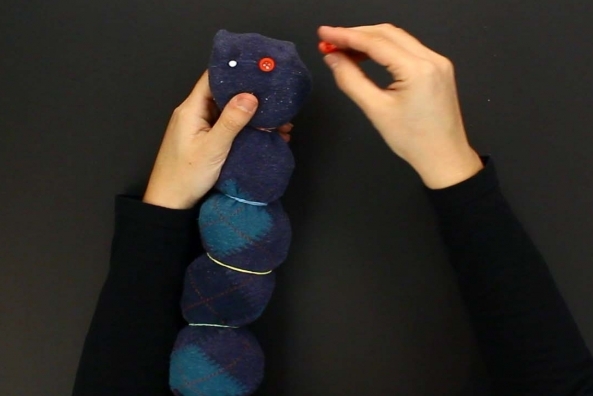 Take those old socks and turn them into a new stuffed toy. 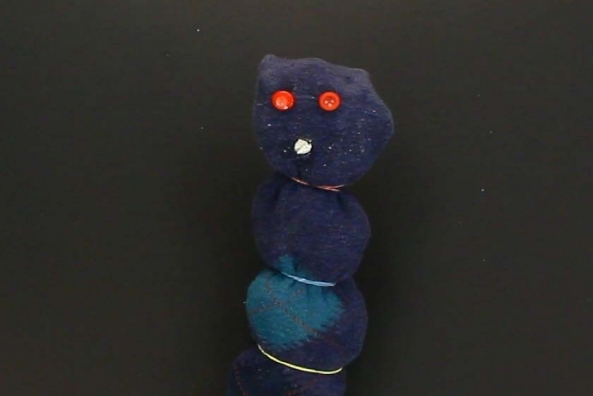 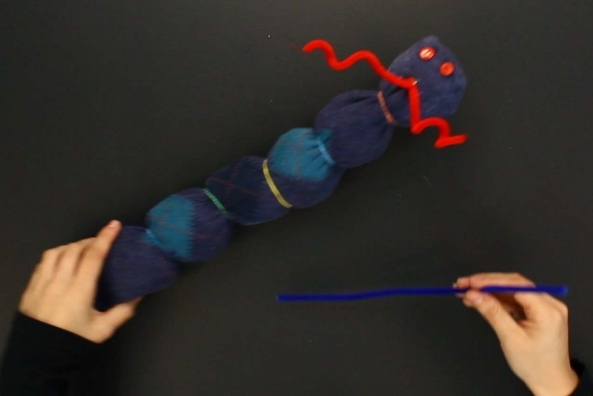 Follow a very hungry caterpillar and see how much it can eat! 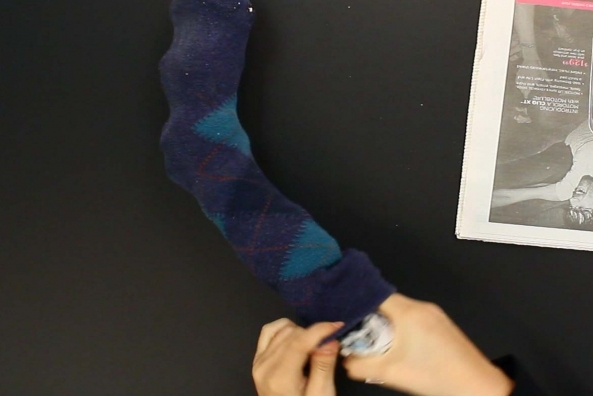 Stuff balls of newspaper into the sock until it is full. 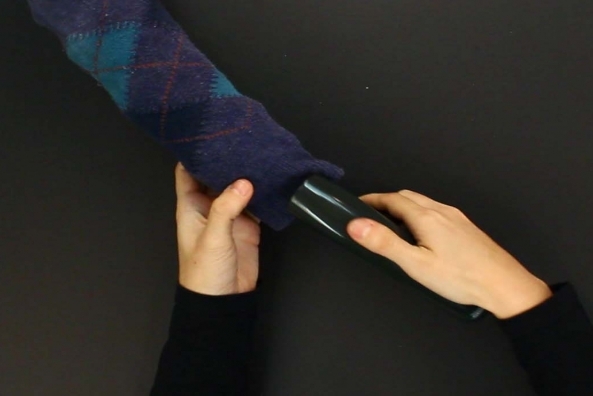 Staple the open end of the sock shut. 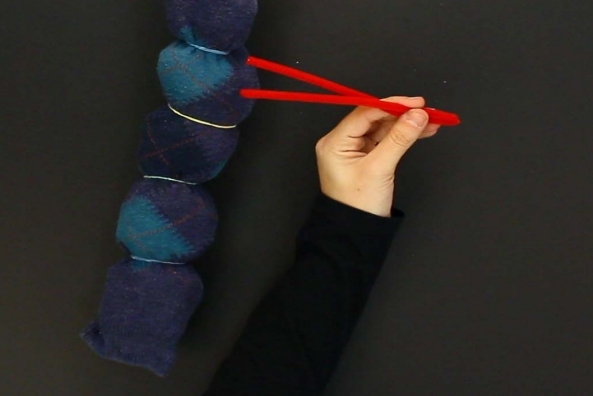 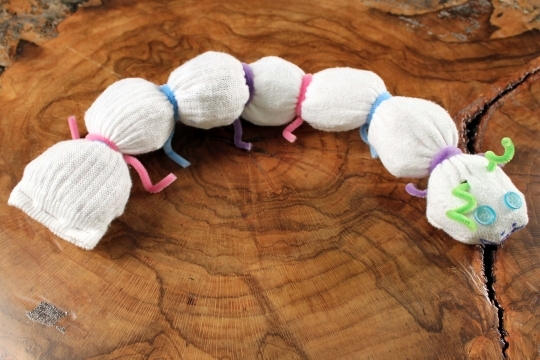 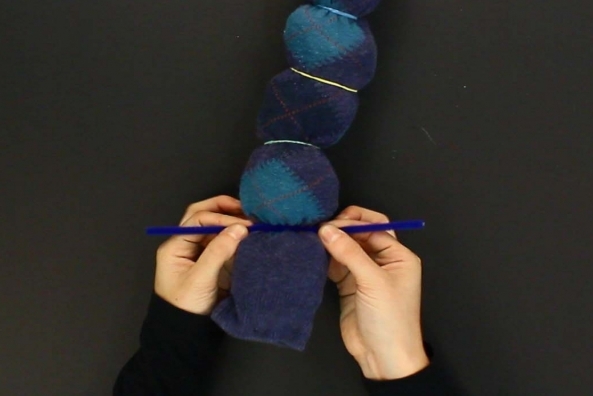 Wrap rubber bands in between each newspaper ball to form the segments of your caterpillar. 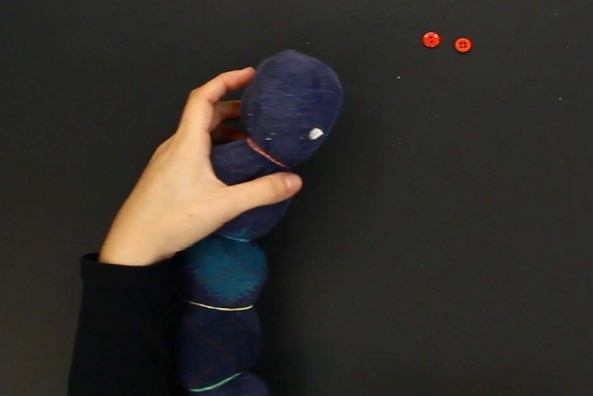 Glue on buttons to make eyes. 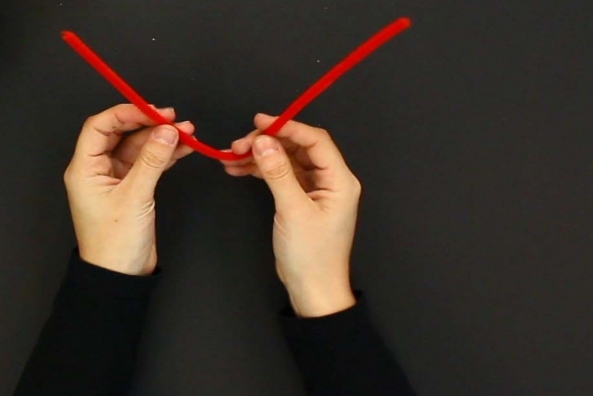 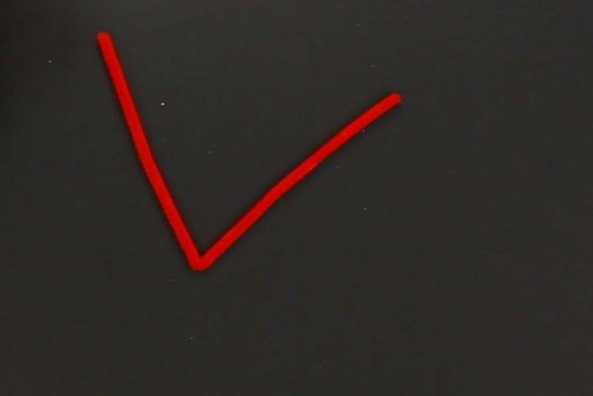 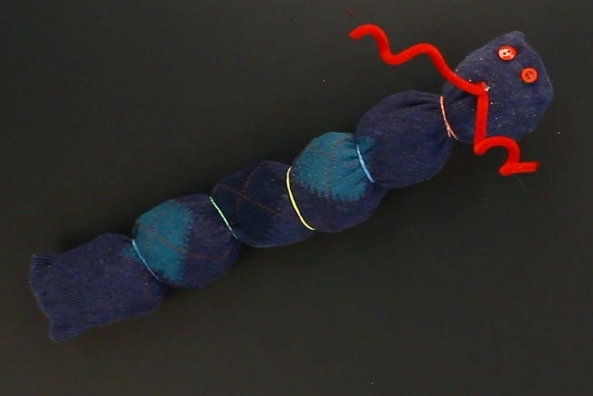 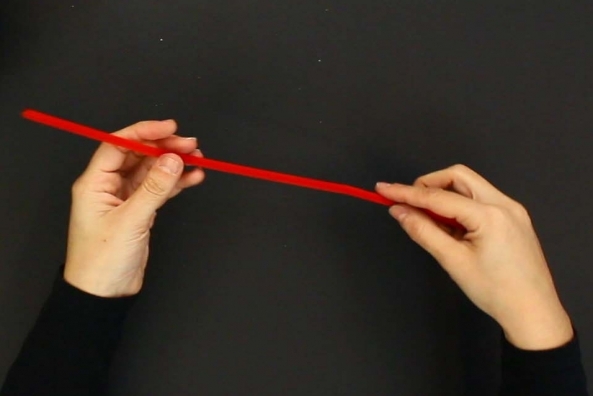 Fold one pipe cleaner in half, like a V.
Cut the folded pipe cleaner in half. 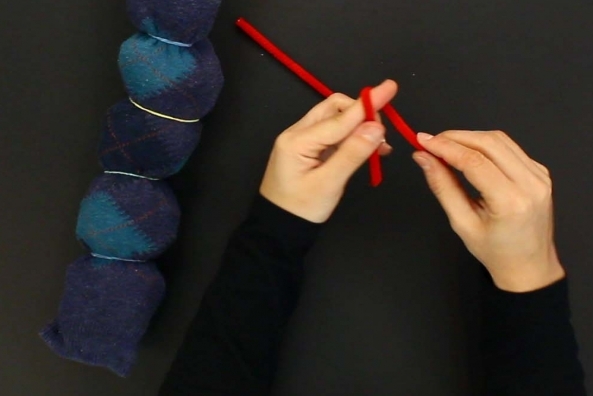 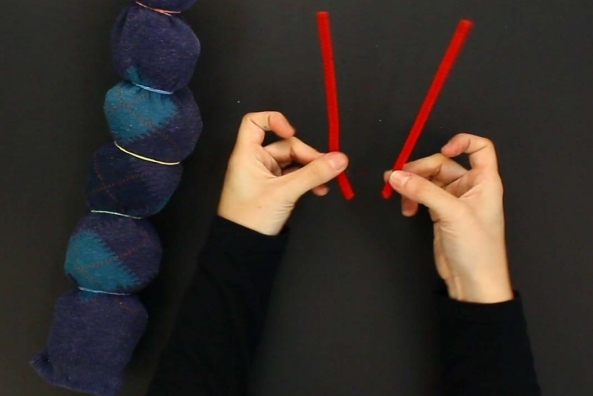 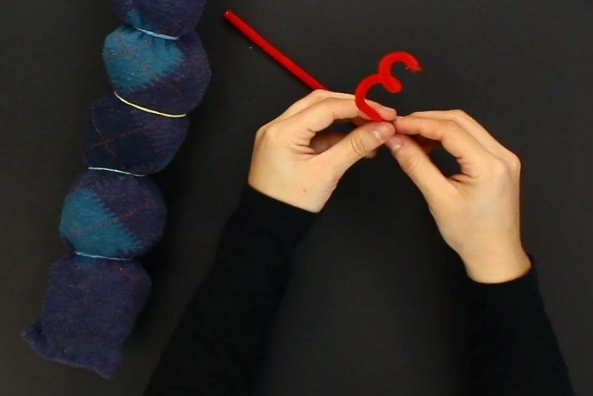 Tip: Wrap half of each pipe cleaner around your finger to get a spiral! 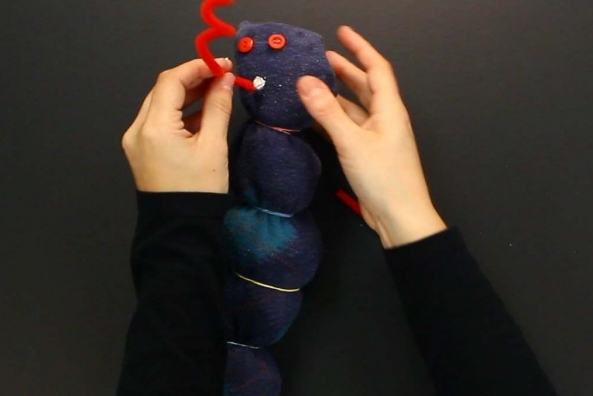 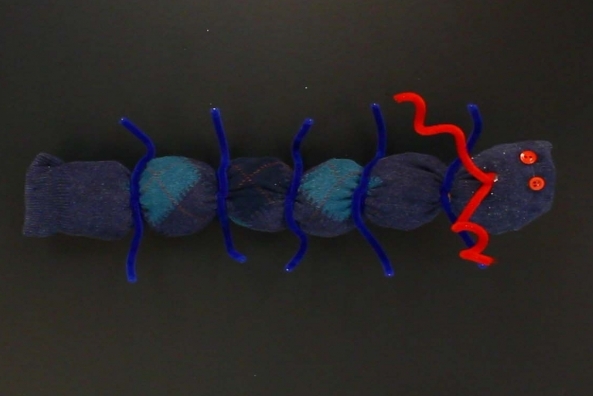 Poke pipe cleaners into the head segment of your caterpillar to be antenna. 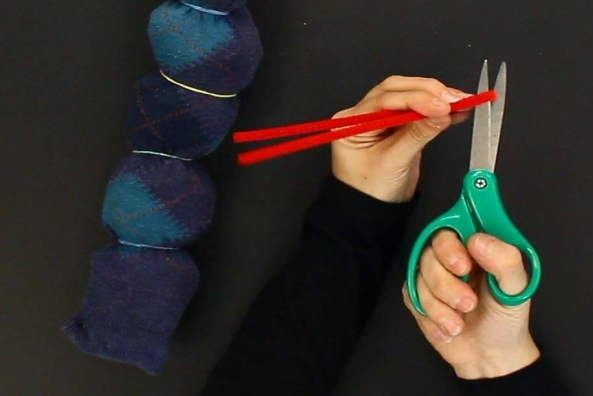 Tip: Use scissors to cut a small hole if you need! 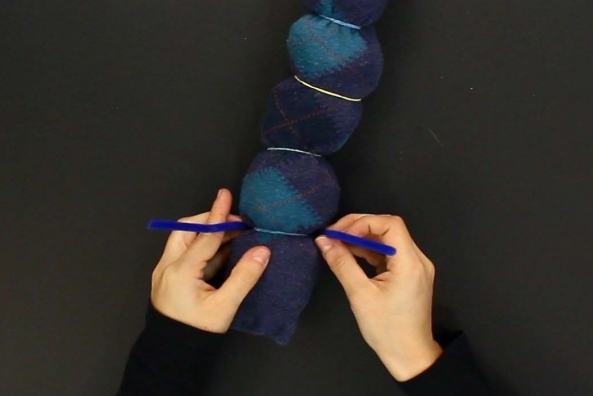 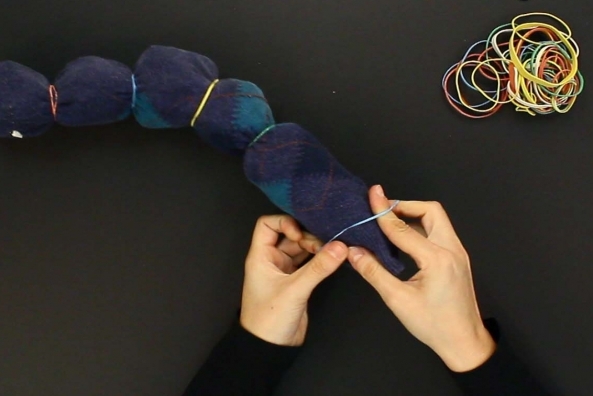 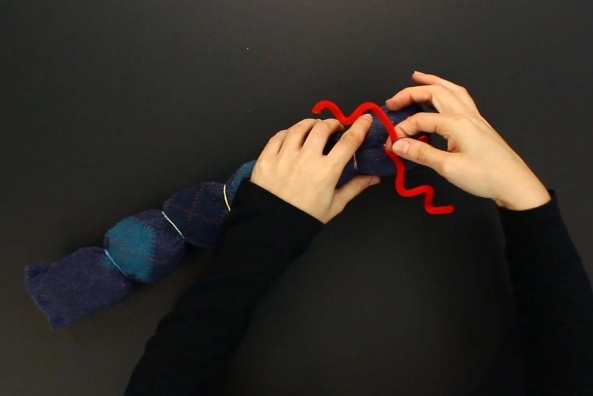 To add legs, wrap a pipe cleaner around each segment and bend the ends to resemble feet.